Find yourself in the most prestigious office suite in Northern Virginia. 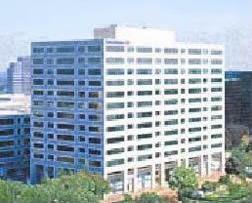 Walking distance to Tysons Corner Shopping Center, Ã¢â‚¬Å“where the stores areÃ¢â‚¬Â as well as the McLean Hilton. First class hotels such as the Ritz Carlton and the Tower Club along with world class restaurants are within minutes of your door. Share the skyline with renowned business and government agencies such as Freddie Mac, BDM, Unisys, AT&T and Chicago Title. Conveniently located near the cross-roads of the areaÃ¢â‚¬â„¢s major highways: the Capital Beltway, I-66, Route 123 and the Dulles Toll Road, and easy access to Leesburg Pike. Minutes away from downtown Washington and National Airport.